Welcome to Hephaestus Villa & the beautiful island of Santorini with its famous sunsets Volcano & Hot Springs, traditions and myths... Ifestos Villa was built in traditional Cycladic style. 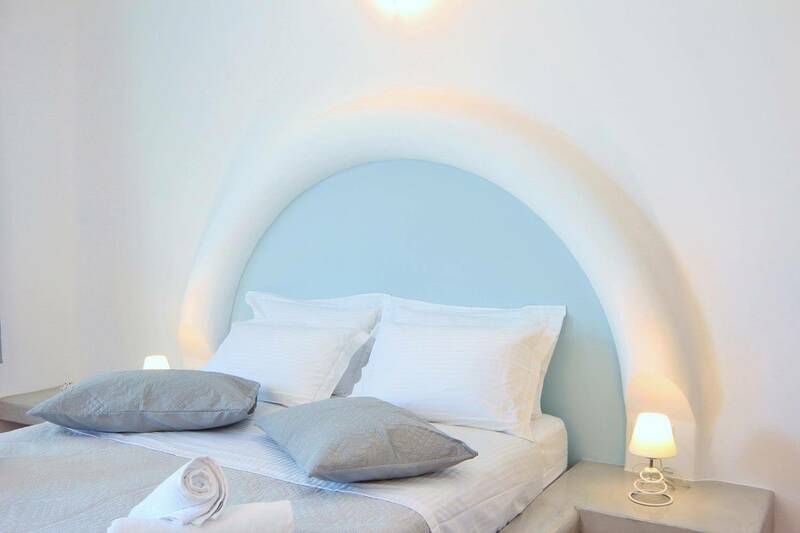 Cycladic architecture is predominant throughout the hotel complex. Ifestos Villa includes an Economy double room, Standard double rooms, Superior double rooms, Deluxe double rooms, Studios for up to 3 persons and an Apartment for up to 4 persons, ideal for families. All rooms and studios of Ifestos Villa are freshly renovated with a modern style and feature air conditioning, private bathroom with 24 hours hot water and fridge. A small kitchen with hotplates is also available in the Studios and the Apartment. Ifestos Villa offers the ideal accommodation. Reasonably priced, quiet surroundings and easy access to Fira, the Santorini island capital. 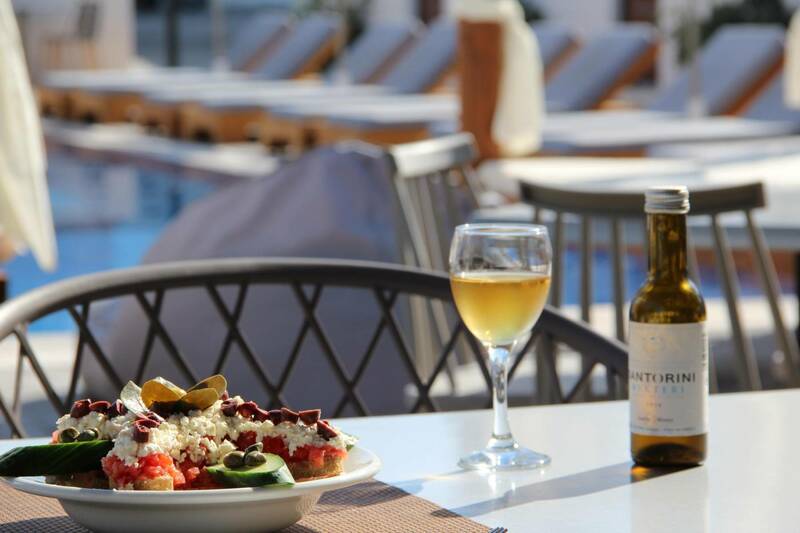 Our reception is happy to assist you with any information about the island of Santorini. We can provide you with a map, organize car and bike tours or reserve island tours, wine tours, etc ... The friendly and welcoming environment of our Hotel will help you blend in with the locals and island atmosphere. All rooms and studios of Ifestos Villa are renovated with a modern style and feature air conditioning, private bathroom with 24 hours hot water and fridge.